No matter the application, you can count on Cat® equipment to deliver exceptional performance and low operating costs. To meet the specific demands of the recycling industry, the company offers waste handling configurations of some of their most popular and versatile machines. 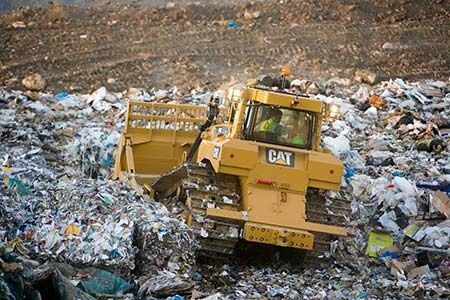 Designed to withstand the harsh conditions found in recycling centers and transfer stations, your choice of a Cat waste handling machine is one that will deliver benefits for years to come. In eastern North Carolina, the only place you’ll find the latest Cat waste handling equipment is at Gregory Poole. Follow the links on this page for more information about individual machines or contact one of our locations directly for assistance.